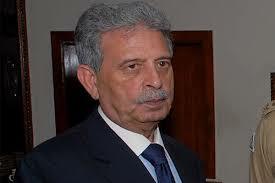 TEHRAN: Amid exchange of admonitions between Pakistan and India, Minister for Defence Production Rana Tanveer Hussain turns up the heat saying that Pakistan has advanced nuclear and missile technology that can “target every city of India”. He was referring to India’s Army Chief General Bipin Rawat’s statement in which he had said the force was ready to call Pakistan’s “nuclear bluff” and cross the border to carry out any operation if asked by the New Delhi government. According to a TV report, the minister said that Indian army chief’s assertion was irresponsible and threatening, adding that this statement would be taken seriously. Tanveer said that neither the United States nor defence equipment procured from it were reliable. He said Pakistan did a lot for the US, but it too is not a trustworthy partner. He went on to say that the defence items purchased from the US do not work when needed. “Our defence production is increasing. The army’s 80 per cent needs are being met domestically,” said the defence production minister, adding that Pakistan is among 6-7 countries of the world that make their own fighter aircraft. Meanwhile, Minister for Defence Production arrived in Tehran on Monday on a three-day official visit to Iran. He has been invited by Iranian Minister for Defence and Logistics for Armed Forces Brig Gen Amir Hatami. The minister is accompanied by a high-level delegation of Ministry of Defence Production and Science and Technology. The delegation will hold meetings with the Iranian minister of defence and other high officials of Armed Forces. whether it is a nuclear or a conventional war, pakistan won’t survive either. Balkanization seems to be the only future of pakistan.